All Stallions standing at Stud in Ireland must hold a current Stallion Licence with Veterinary certification for this purpose at the time of covering. 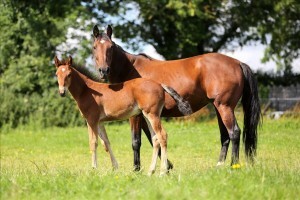 Failure to comply will result in the non- issuing of Covering Certificates for such mating’s with the resultant foals being registered as part bred only. Stallions for which the IHRA and/or STAGBI have previously issued Covering Certificates are deemed compliant with the above. Stallions leased from other jurisdictions and Stallions not previously used for stud duties in Ireland and/or Great Britain will require an IHRA Stallion License application to be completed in advance of Stud duties. Irish owned Stallions leased to Great Britain for stud duties will require a temporary export certificate to be issued by the IHRA and Stallions leased from Great Britain to Ireland will require a temporary export certificate issued by STAGBI. Non compliance with this requirement is causing ongoing difficulty and delays with registration of the resultant foals. A proposal to start issuing penalties for such non compliance is now under consideration. As and from 1 st February 2019 all passport applications must be Veterinary stamped and dated within the last months prior to the application date, failure to comply will result in applications being returned. Harness Racing Cork All the latest updates from Racing in Cork.